For over fifteen years, Brian has focused his practice in the areas of complex commercial litigation, labor and employment, construction law, and serving as outside general counsel. Brian has experience representing business entities of all sizes in a wide range of litigation matters in both state and federal courts. He handles all aspects of litigation from the filing of the complaint through judgement or settlement including court hearings, trials and settlement negotiations. Brian also has extensive experience in alternative dispute resolution ( in both local and international matters) and in the areas of antitrust, intellectual property, energy, and mineral law. 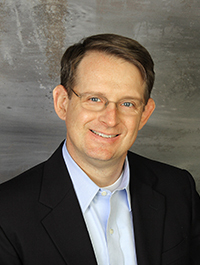 Prior to entering private practice, Brian worked as an attorney at the Federal Trade Commission. A sample of representative clients include: a Fortune 500 company in a sexual discrimination suit; a local company involved in a dilution dispute with another member of an LLC; a Fortune 500 company in a breach of contract and mechanics’ lien case for work performed at its facility in Salem, Virginia; a chemical company involved in a trademark dispute and international arbitration; and another local company in a breach of contract dispute for construction work performed at Bagram Air Base in Afghanistan. In July of 2017, Brian was selected to serve on the Virginia State Bar’s Board of Govenors, Litigation Section and also to be a Master of the Bench for the Ted Dalton American Inns of Court. He has been recognized by Virginia’s “Super Lawyers” magazine as a top rated Business Litigation attorney in Blacksburg and a Rising Star (2010-2011). He actively participates in the NRV Society for Human Resources Management (SHRM), Roanoke-Blacksburg Technology Council, and Blacksburg Rotary Club. Additionally, Brian has been a long time presenter for Lorman Education Services on various employment issues and a speaker for the NRV Homebuilders Association. Deducting Post-Production Costs when Calculating Royalty: What Does the Law Provide, Appalachian Journal of Law 2008. Effective and Efficient Arbitration in Virginia, Appalachian Journal of Law, 2010.